Submitted by giscard on Fri, 10/26/2007 - 6:46pm. National gpx file of all Intercontinental Hotels Group (IHG) branded properties (e.g. Holiday Inn, Holiday Inn Select, Holiday Inn Sunspree, Crowne Plaza, Intercontinental Hotel, Hotel Indigo, Holiday Inn Express, Candlewood Suites, Staybridge Suites) in the U.S. 2,871 hotels across 50 states... Happy trails! Changes made for 11 properties in Jacksonville, FL. Thanks to member, canuk, for bringing this to our attention. Holiday Inn Waldorf removed - now a Clarion. Thanks to MAC06 for the notification! Added Kittanning, PA. Thanks to canuk for bringing the new property to our attention! Two new Holiday Inn Express properties added in Stroudsburg, PA (thanks ajasaro) and in Alexandria, VA (thanks MAC06). New Holiday Inn Express in Newark, DE. Thanks to MAC06 for bringing this to our attention. 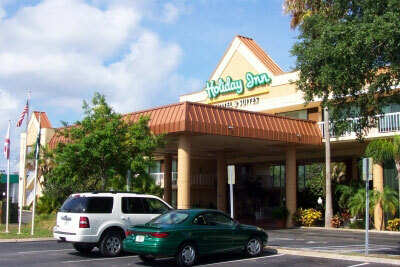 Updated entries for 13 hotels in FL, OH, and MA. Thanks to bandorr2000 and Box Car for bringing these to my attention. Added Birmingham - Hoover (AL) and updated other Birminham Hotels. Thanks to canuk for bringing these to our attention. Changed the Mechanicsburg, PA, hotel POI. The old inn was replaced by a new Holiday Inn Express. Thanks to MAC06 for the info. Added W. Coxsackie, NY Holiday Inn Express. Thanks to pwohlrab for bringing this to our attention! Updated Savannah, GA hotels. Added 3, deleted 1. Thanks to canuk for bringing this to our attention.